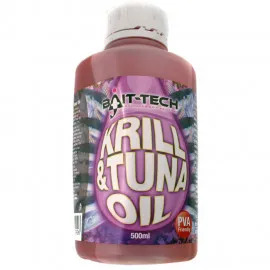 Bait-Tech is the home of specialist baits, and as such their ethos is that they will only produce the very best baits from outstanding suppliers. Many of Bait-Tech’s suppliers supply exclusively to Bait-Tech, so you won’t get its quality of bait anywhere else on the market. 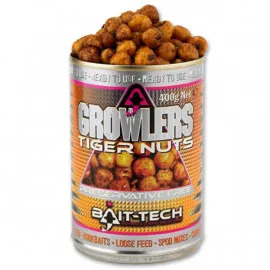 Bait-Tech knows that it’s the ingredients that make the bait, so it only uses those ingredients of the highest quality to make its world class baits. From match to specimen, Bait-Tech has the bait for you! Bait-Tech is proud of the time it spends trialling and testing its products. From bench testing the products in the lab, to tank testing feeding responses, and, finally, and its team of match and specimen anglers spend hours on the bank testing each product. For example, the Bait-Tech Carp Method Mix Sweet Coconut took 19 different recipes before the team was happy to put the product on the shelves. In this way, Bait-Tech baits are tested right to the extremes of angling, so they will perform to the maximum no matter what level of angling you are at, and no matter how challenging the waters are. The pro-anglers whom Bait-Tech sponsors all place their ideas for new products in a ThinkTank, and any successful bait experiments that members of the angling community come up with are placed in the tank alongside them. It’s from this tank of ideas that Bait-Tech gets its inspiration for new bait products and methods. Bait-Tech understands that, to stay ahead of the game, they need to continue to innovate. This continued innovation not only helps the company keep ahead in the market, but translates to you, the angler, being ahead on the bank – ahead of both the other anglers and, most importantly, the fish. Peter Clapperton, founder of Bait-Tech, has always been an avid angler. He began importing bait from Continental Europe in the 1980s, and, after witnessing the huge success of this, started to become closely involved with the production side of the business. As the UK bait market grew and developed, the Continental company Peter worked with began talks to start up a purely British strand of the business, which Peter was to head. This company became Bait-Tech, and Peter took full control over the brand. Peter, not content with heading up the business, also created the Essex County team in the 1990s. This team was known as the SuperTeam, and won almost every award possible for the time. He is also responsible for Suffolk Water Park – a beautiful fighery with a 25 acre big fish lake, where you can catch 40lb , as well as various match and pleasure lakes. To this day, Peter remains closely involved with the production process, and is always at hand to provide his opinion of the new baits the company invents. He was the first to develop and market soft hook pellets, the first to produce canned meat and hemp, and the first to create hemp and particle pouches. Peter has been integral to Bait-Tech’s innovation, and firmly believes that he has more firsts to add to those he already has under his belt.